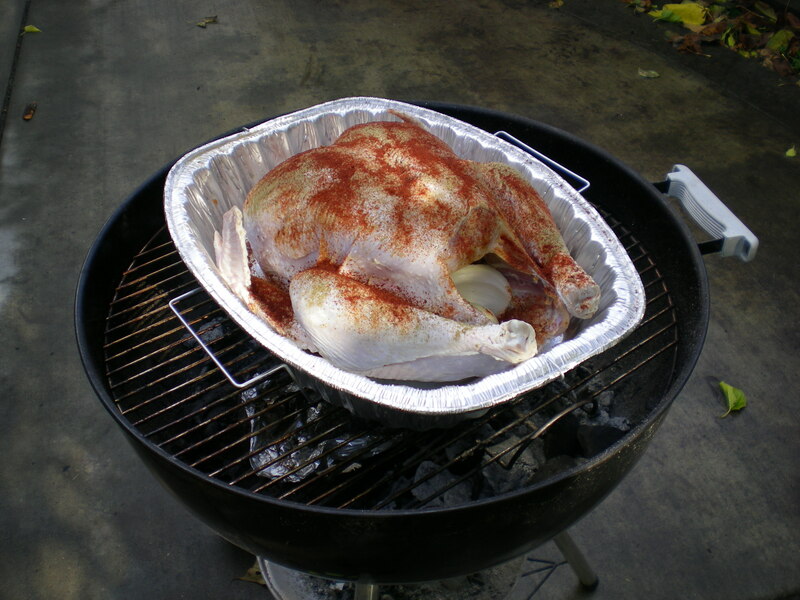 The turkey is on. The pies are baked, and the side dishes are ready to put in the oven. 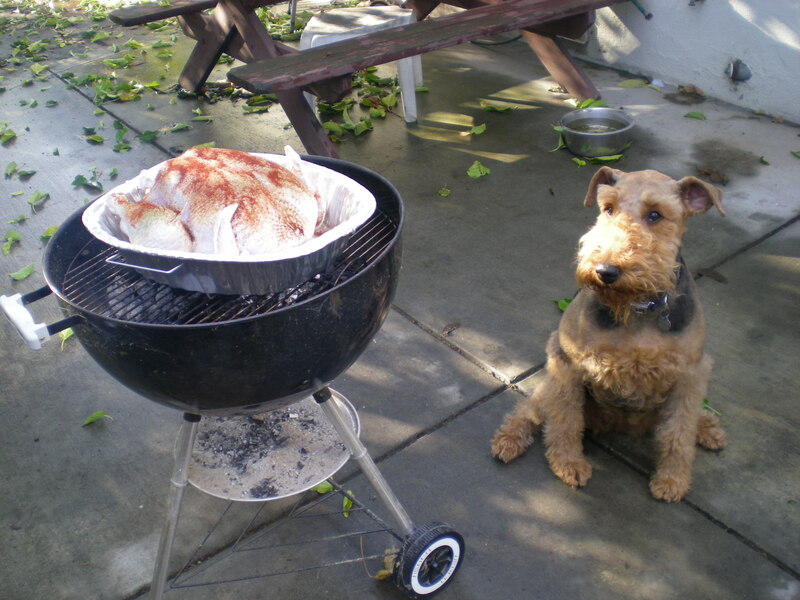 Queen Barktifah is settling in to guard the turkey. It looks like QB is looking forward to clean up duty tonight. I hope everyone is having a FABULOUS Thanksgiving Day! This entry was posted in Musings and tagged Airedale, Cooking, Paleo diet, sustainable food. Bookmark the permalink.